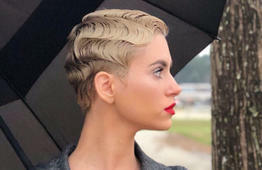 Our highly trained stylists specialize in precision hair cutting in the Spring and the Woodlands TX areas for both men and women. 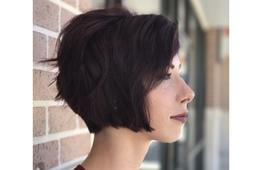 Whether you are wanting a pixie, longer length cut, or modern men’s cut our stylists can deliver you the look you are wanting. 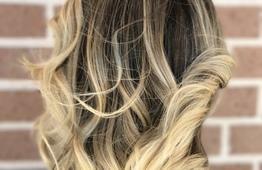 Our highly trained stylists provide a multitude of services that will remarkably or subtly transform your hair with a variety of semi-permanent and permanent colors. We use only the leading hair color lines to ensure optimum results. Conditioning treatments are vital for the health and integrity of the hair, and can have a tremendous positive impact on the overall texture. Click here to learn more about the Keratin treatments we offer. We all have those pesky unwanted facial hairs that seem to come out of nowhere and are too much of a pain to pluck yourself. To save on stress and time, we offer brow, cheek, chin and lip waxing services! We help every client become the best possible version of themselves. At Leif Hair Studio, we are passionate about hair care services and the impact our hair salon has in the lives of the Spring and The Woodlands TX residents around us. We believe in investing the time to provide detailed education for each of our stylists. This ensures consistent quality of work, no matter whose chair our clients are sitting in. We proudly offer top quality products like Aveda and Botanik. Our team of expertly trained stylists are prepared to help you create the best version of yourself while making sure you are as comfortable and cared for during your visits.